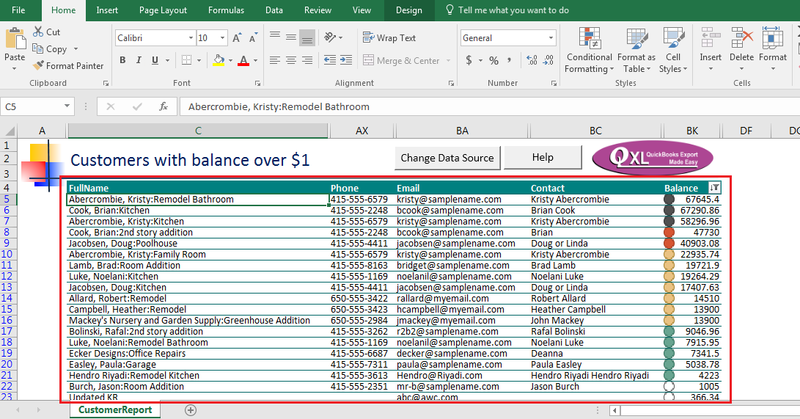 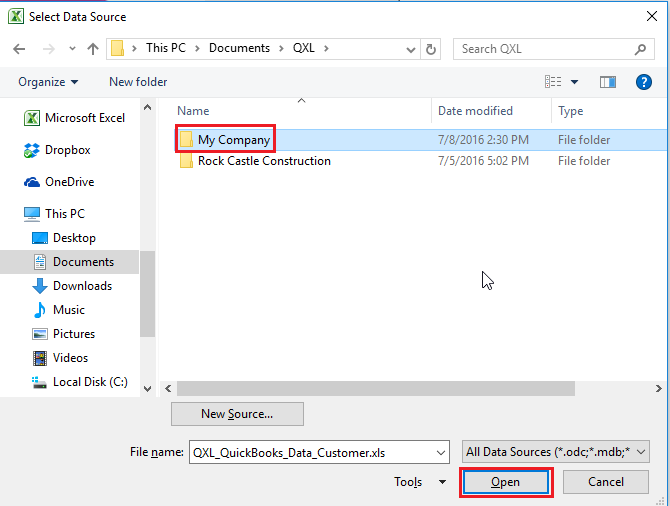 There is two way to Change QXL Sample Report Data Source. 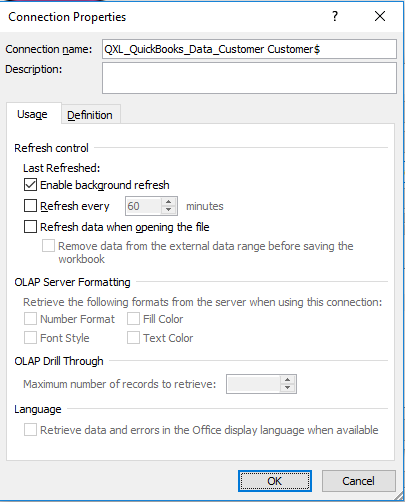 Click on Change Data Source button. 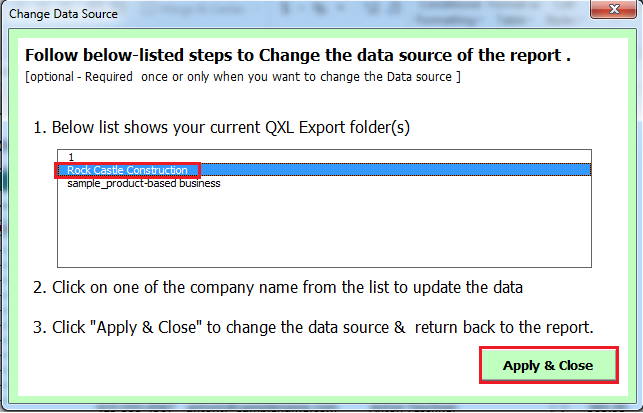 Choose QXL Export folder which you want to use & click on Apply & Close button. 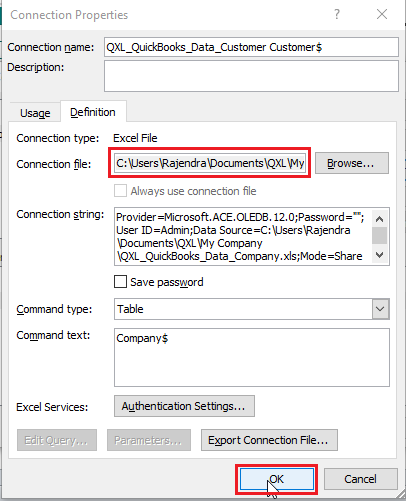 Data in sample spreadsheet will be refreshed using provided QXL Export folder data. 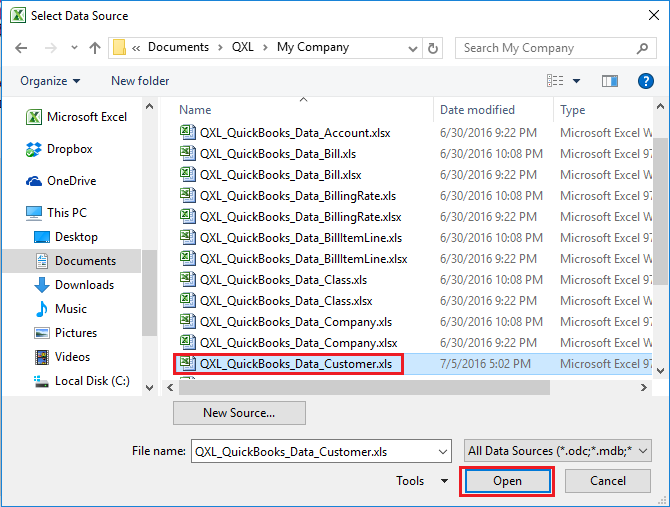 Open QXL Sample spreadsheet navigate to Data tab. 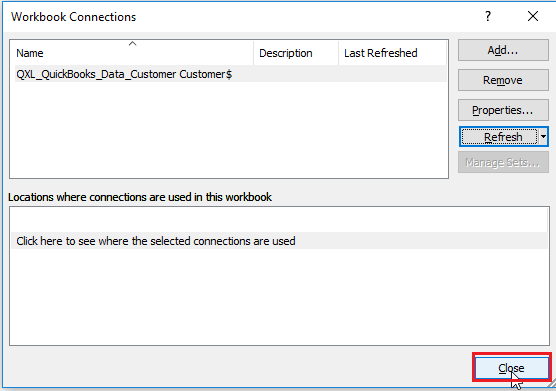 Select workbook connection & click on properties. 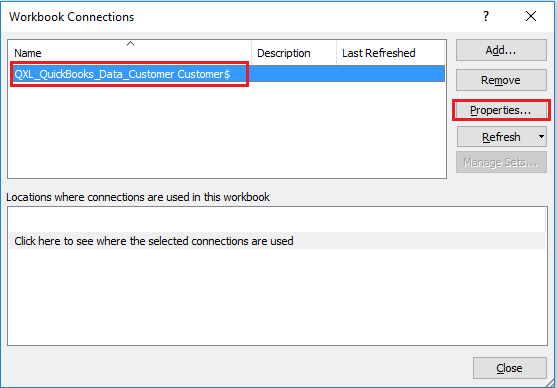 Navigate to Definition tab & click on Browse button. 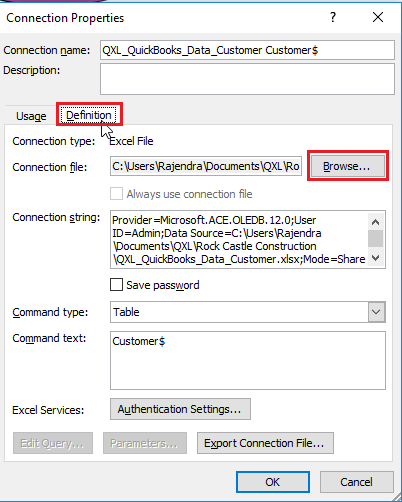 Choose QXL Export folder & spreadsheet which you want to use & click ok.
To save new report data source click OK.
Click on close button to save the configuration.